Not unless your jacking off over me, you're not! BTDubs - this falls under the 'nonsense' category - which I do far too infrequently here. whoa! a bit horny today, are we? 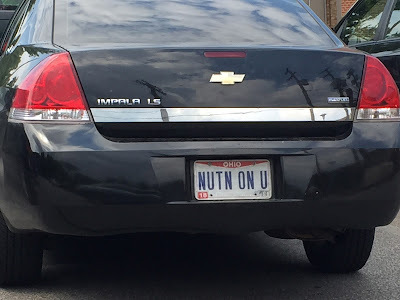 I hope he's hot if he's nutnonu. I wonder if "NUTN IN U" would have made it through the DMV?